Timely software updates may not be something for LG to brag about. That is why we cross our fingers every time we hear about one coming. 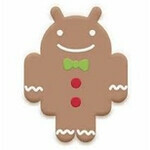 Luckily, this time the word comes from a reliable source - LG's Danish website, which hints in its FAQ section that Android 2.3 Gingerbread should land on the LG Optimus 2X in June or July of this year. In the U.S., LG's dual-core superphone may be more popular as the T-Mobile G2x, and as our loyal readers probably know, it is expected to launch next Wednesday. Hopefully, we will eventually see it being treated to an update as well, as long as T-Mobile releases Gingerbread for over-the-air download, of course. Nevertheless, we are excited that the LG Optimus 2X may finally run Android's latest version even though older devices like the LG Optimus One might beat it to it. We will be keeping our eyes open for a solid confirmation from LG and will surely let you know if a release date gets announced. I'm looking forward to this phone and part of the reason for getting this phone is because of the possible release of an update in just 2-3 months.. What are your thoughts.. I already own this phone, and its a great bit of kit, just wished the phone was released with this firmware instead of getting it 2-3 months later. The new dual core samsung is being released soon which is being shipped with gingerbread, can't understand why LG didn't do the same? what improvements can be expected from the update .? Yes i see LG kept their word and released in may.....NOT or june.....NOT..... or july.....NOT, i wonder if they will ever update it.... f**king pathetic company wont buy s**t from them ever again unless they can start going through with their word. eraldo is right. I ain't buyin' s@%t from LG ever again.